Fulcrum road wheels supplied by Hooked on Cycling. Upgrading your wheels on your road bike is apart from the frame the best investment you can do to improve the performance of your bike. 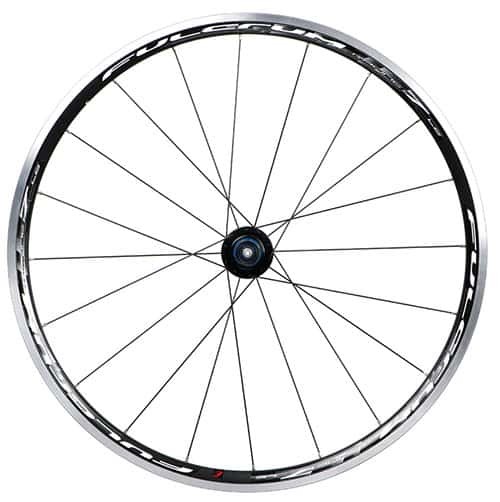 There is a huge selection road wheels in the market place from alloy wheels to carbon/alloy mix to full carbon wheels. 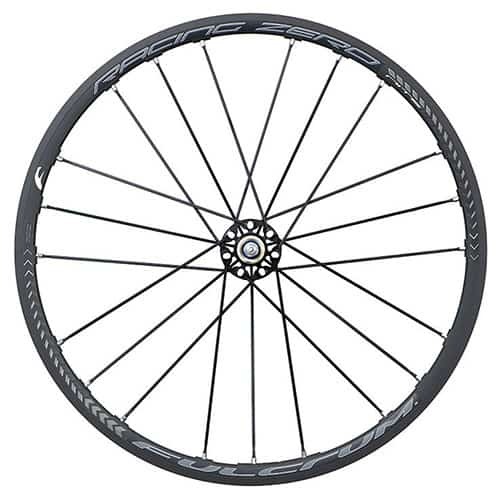 In general terms the more you pay the better performance upgrade you shall get, cheap carbon wheels for example would probably not provide much improvement, with wheels you do get what you pay for – there is no paying for a name! Although we can source Fulcrum, Mavic, Vision, Syncros and Reynolds wheels we have selected to have a range of Fulcrum wheels in stock. 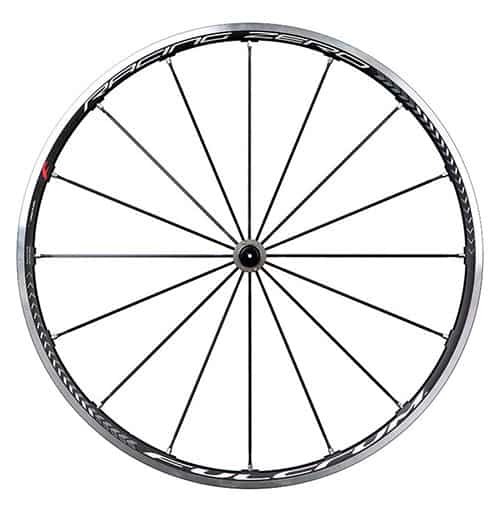 Fulcrum is a quality wheel manufacturer with a range of wheels from £169.99 to £2000! We try and have on display the range from Fulcrum racing 7’s at the entry level to Fulcrum racing Zero Nite’s at £1049.99. The Racing 7 LG has been introduced with one purpose in mind. These wheels have been designed with a slightly wider rim to facilitate the easier use of 25c tyres. his means the rider can benefit from better comfort, better grip and slower tyre wear. 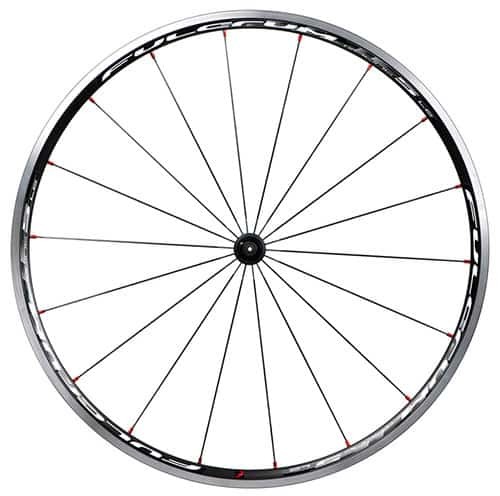 Steel spokes with 2mm cross-section: Provide high levels of tension and stiffness. Oversized flange on the drive side: Provides greater stiffness, increases reactivity at each change in rhythm of the pedal stroke. Superior quality steel balls on sealed cylindrical bearings which reduce friction and ensure consistent performance over time. Fulcrum brings you the perfect training/everyday use wheel in the Racing 7. Fulcrum 2:1 spoke ratio on rear wheel double the number of spokes on the drive side for greater wheel stability and improved power transfer in the rear wheel. 20 straight pull steel spokes on front wheel24 on rear. Hubs made for straight spokes: aluminium-made and with a large flange on the drive-side of the rear wheel to increase reaction. Includes Fulcrums new Wear Indicator system so you know when the rims are nearing their limit. This brand new Racing 5 has been brought in for 2015 with one purpose in mind. They have been designed with a slightly wider rim to facilitate an easier fitting of 25c tyres. This means the rider can benefit from better comfort, better grip and slower tyre wear. Racing 5 are designed for everyday use and training. An optimum proposal from Fulcrum which guarantees excellent quality. Oversized hubs with flanges for blade hammer-head spokes and sealed high-quality bearings ensure smoothness. The Racing 5’s also have a deep upper bridge on the rim to facilitate clincher tyre fitting. 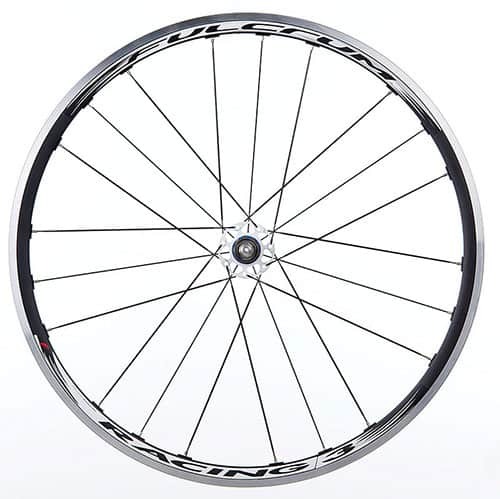 Racing 3 wheels are ideal for both racing and for everyday training. Differentiated rim heights – 24mm at front for optimal manoeuvrability; 30mm at rear for optimal power transfer. Oversized hub body in aluminium painted white gives strong lateral stiffness while reducing weight. Fulcrum 2:1 spoke ratio on rear wheel double the number of spokes on the drive side for greater wheel stability and improved power transfer in the rear wheel. 16 straight pull aero spokes on front wheel 21 on rear. Fulcrum Dynamic Balance keeps the Racing 3 wheels perfectly stable but is achieved in the rim milling process rather than spokes in the Racing 5. Milled rim to reduce the peripheral weight of the rim increasing reactivity. A carbon front hub with oversize flange is used creating a light weight but stiff hub. The rear hub is single piece aluminium for increased stiffness. Triple milling of the rim saves weight but also creates an aerodynamic profile. Fulcrum Dynamic Balance keeps the Racing zero wheels perfectly stable but is achieved in the rim milling process rather than spokes in the Racing 5. Fulcrum 2:1 spoke ratio on rear wheel double the number of spokes on the drive side for greater wheel stability and improved power transfer in the rear wheel. 16 radial aero spokes on front wheel21 on rear. The Racing Zero wheels feature Fulcrums USB ceramic bearings which are 30% lighter 40% more resistant and 50% smoother compared to the steel bearings featured in the 3’s 5’s and 7’s. Total black: a new look, with the ‘Plasma Electrolytic Oxidation’ treated surface the aluminium core changes its soul. Plasma Treatment- This gives the wheel set an ‘all black’ look. The Plasma treatment process creates an extremely hard and wear resistant surface. New braking surface, the specially milled braking surface is Plasma treated allowing superior braking in wet conditions. The ‘grooves’ in the braking surface allow water to drain away increasing braking friction. Specified blue brake pads developed by Fulcrum must be used with this special finishing. Plasma treated freehub. This removes 20g from the weight of the freehub. A carbon Hub with oversize flange is used creating a light weight but stiff hub. Triple milling of the rim saves weight but also creates an aerodynamic profile. Reflective rim graphics add great contrast to the dark surface. Fulcrum 2:1 spoke ratio on rear wheel double the number of spokes on the drive side for greater wheel stability and improved power transfer in the rear wheel. 16 radial aero spokes on front wheel, 21 on rear. The Racing Zero Nite wheels feature Fulcrums USB ceramic bearings which are 30% lighter, 40% more resistant and 50% smoother compared to the steel bearings featured in the 3’s 5’s and 7’s.